Beautiful set of 6 champagne saucers, inspired by 19th century and early 20th century English designs. 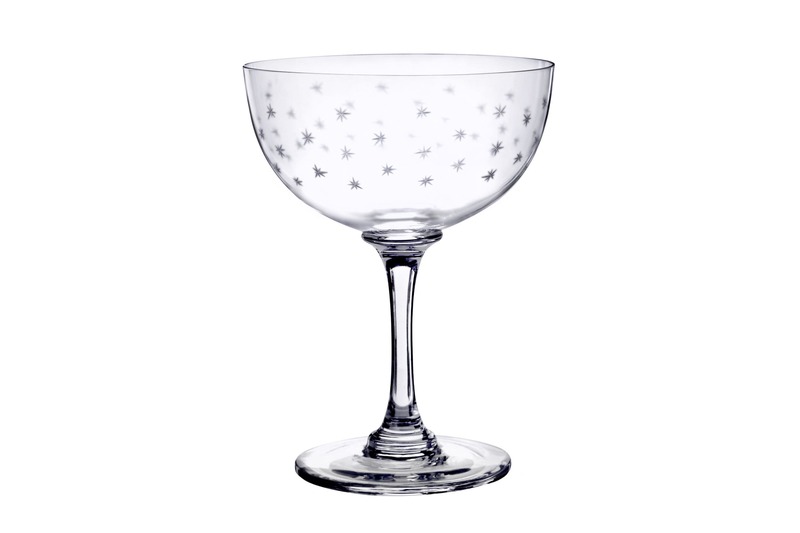 Each glass is hand-blown and hand-engraved, and is made from fine crystal. A classic design of engraved stars.